A new study published in The Lancet suggests that developing countries as a whole have a less than 5% chance of meeting the UN’s Millennium Development Goal (MDG) target for the reduction of child malnutrition by 2015(http://www.thelancet.com/journals/lancet/article/PIIS0140-6736(12)60647-3/fulltext#article_upsell). The Article analyses trends in the weight and height (two simple indicators that can permit to define if the malnutrition is chronic or acute) of more than 7•7 million children worldwide between 1985 and 2011 in 141 countries. They also looked how levels are likely to change if current trends continue. It is the first large-scale study to provide a detailed examination of trends in children’s weight and growth in all developing countries. The phenomenon of hunger does not only weigh on the individual, it also imposes a crushing economic burden on the developing world as economists estimate that every child whose physical and mental development is stunted by hunger and malnutrition stands to lose 5-10 percent in lifetime earnings. Moreover, the first two years of a child’s life are particularly important, as optimal nutrition during this period will lead to reduced morbidity and mortality, to reduced risk of chronic diseases and to overall better development. In fact, optimal breastfeeding and complementary feeding practices are so critical that they can save the lives of 1.5 million children under five every year. • 61 of these 141 countries have likely a 50—100% chance to achieve the target – particularly in some parts of Asia and Latin America. • The prevalence of moderate-and-severe stunting (insufficient growth in height for their age) declined from 47•2% to 29•9% and underweight from 30•1% to 19•4% between 1985 and 2011 in developing countries as a whole. • In 2011, over 300 million children were mildly to severely stunted and over 250 million mildly to severely underweight, with 17 countries – mainly in sub-Saharan Africa and Oceania – seemingly undergoing no improvement in the number of children who are underweight or restricted in growth. • Undernutrition worsened in sub-Saharan Africa from 1985 until the late 1990s, when height and weight scores began to improve. The deterioration may have been due to economic shocks, structural adjustment, and trade policy reforms in the region in the 1980s and 1990s. In Ivory Coast and Niger, nutritional status was measurably worse in 2011 than it had been in 1985. • South Asia, the region with the worst nutritional status in 1985, has improved considerably, but undernutrition is still a major issue. About one half of the world’s underweight children live in South Asia, mostly in India. • China has undergone the largest improvement in children’s height over the last 25 years, with Latin America and the Caribbean region also experiencing significant improvements in this area. The authors suggest that, in many of these countries, the improvements seen are down to overall improvements in the populations’ nutrition, rather than specific interventions targeting children at high risk. 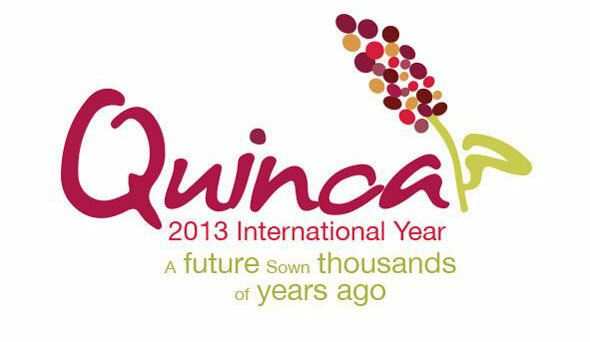 • Some countries in Latin America, such as Chile, now have almost no undernutrition. 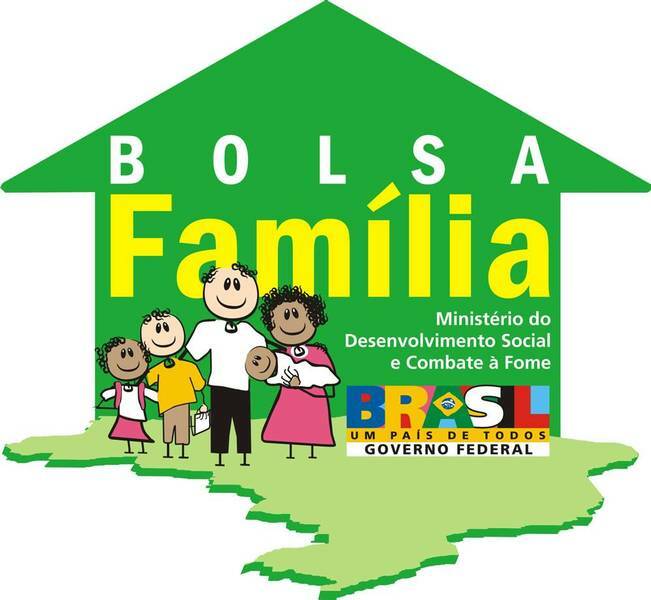 The proportion of underweight children almost halved per decade in Brazil. The statistics presented in this article suggest that in most countries, the improvements are due to population-wide improvements in nutrition, rather than interventions targeting high-risk children. In a book entitled “Just Give the Money to the Poor, The Development Revolution from the Global South”, the authors showed through a specific example that equitable economic growth at the community level permits a population-wide nutritional improvement, among other social and economic improvements. In this book, the authors discussed a new strategy – direct cash transfers (CTs). These are regular payments by the state directly to poor people, similar to welfare in developed countries. The authors showed that this strategy can have a significant social and economic impact. CTs are affordable and the recipients use the money well and do not waste it. As a result, cash grants are an efficient way to directly reduce current poverty, and they have the potential to prevent future poverty by facilitating economic growth and promoting human development. Something that perhaps you don’t know! And we didn’t know before reading this book. 45 countries in the Global South now give CTs to more than 110 million families. Every program is different, from universal child benefits in Mongolia to pensions in Africa to family grants in Latin America. Some grants are tiny – only $3 a month – whereas others give families more than $100 a month; some cover more than one-third of the population, and others aim only for the very poorest. The size of public spending varies from 0.1% of GDP to 4%, although most programs fall in the range of 0.4% to 1.5%. What are the outputs/outcomes of this kind of program? The villagers of Otjivero village (a very destitute rural community) in Namibia have received each month the equivalent of 15 US$ as part of a pilot study to evaluate the socio-economic impact of direct cash transfer. One of the first and immediate results was the creation of a whole range of economic activities in this small village. This pilot study has also shown that CT has an impact not only on production but also on demand. 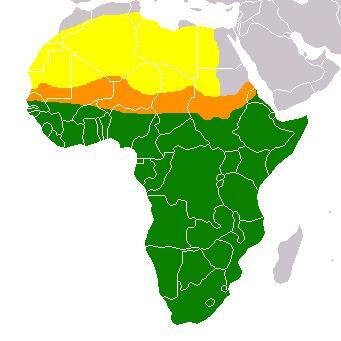 In Africa, the purchasing power is usually centered in a few centers, forcing people to leave the countryside to cities, where slums eventually spread. The CT allows rural to grow, it creates local markets and allows people to be self-sufficient. When you know that you will recieve each month some cash to support your family, this brings some sort of financial security. This kind of initiative helps to ensure that the basic needs for the family are covered but also helps to invest in the future. It creates the first step to equitable economic growth. According to the UNs, the world will need at least 50% more food to feed a growing population by 2030, (expected to swell from 7 billion to 9 billion people by 2050). Another important deadline is the millennium development goal – to halve the proportion of people who suffer from hunger between 1990 and 2015. Unfortunately, the progresses for this specific goal are so far really disappointed. In this context, global food security is more and more a top concern of many governments as illustrated by the recent G8 and G20 summits. The New Alliance for Food Security and Nutrition, announced at the Camp David G8 Summit in May, highlights the shared commitment among G8 and African leaders, private business and non-governmental organizations to achieve global food security. Consequently, a food security index is becoming increasingly important given the growing world population and the potential limits on our ability to provide food in coming years. So any additional and long-term measures than can give an overall picture of food security are seemingly useful. Why improving food security (and indirectly nutrition) so important? The truth is that food security is a prerequisite to economic growth and job creation. You cannot educate a hungry child, and you cannot hope for productive employment if citizens are going without food. Moreover, according to the latest analyses that focused on child and maternal health, there is a critical window of opportunity for improving child nutrition; it goes from pregnancy through the first 24 months of life. The deficits acquired by this age are difficult to reverse later and can affect dramatically the possibility for each child to achieve his or her full potential. As claimed by the World Bank a few years ago, it is time to reposition nutrition as central to development and part of an global food security strategy (http://siteresources.worldbank.org/NUTRITION/Resources/281846-1131636806329/NutritionStrategy.pdf). Who takes the lead on this new set of indicators? DuPont, a developer of genetically altered crops, commissioned the Global Food Security Index to measure hunger worldwide, and identify areas for improvement and where reforms are most urgently needed. This new index was launched by the Economist Intelligence Unit, an advisory and forecasting research firm (http://www.multivu.com/players/English/56895-eiu-global-food-security-index-dupont/) a few days ago. 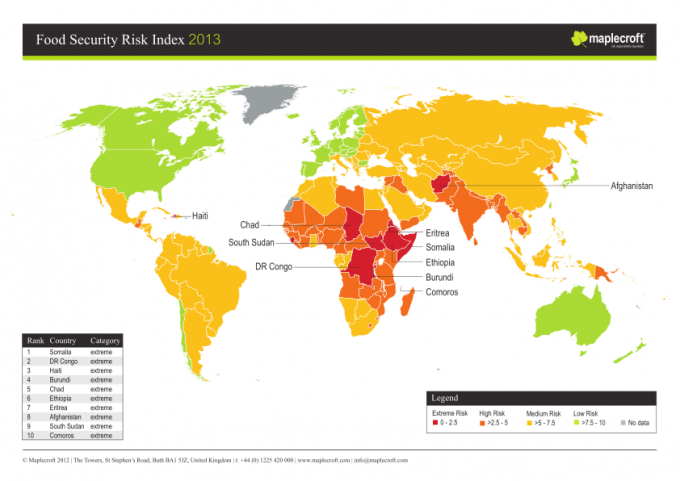 Accordingly, the Global Food Security Index addresses the underlying factors of food insecurity in 105 countries and points to areas for improvement and reforms. We hope that the Global Food Security Index will be used appropriately to promote collaboration, make better informed decisions and stimulate action necessary to feed our growing population and impact positively the growing epidemic of malnutrition, i.e hunger and obesity. What does this new index measure? The Global Food Security Index measures levels of food security by answering a central question: “How can consumers in each country easily access sufficient amounts of safe, high-quality and affordable food?” said Leo Abruzzese, Economist Intelligence Unit Global Forecasting Director. This new index seems to a comprehensive tool that will help to move from rhetoric to results. It is based on 25 global indicators that measure specific aspects of food affordability, accessibility, availability, nutritional value and safety. 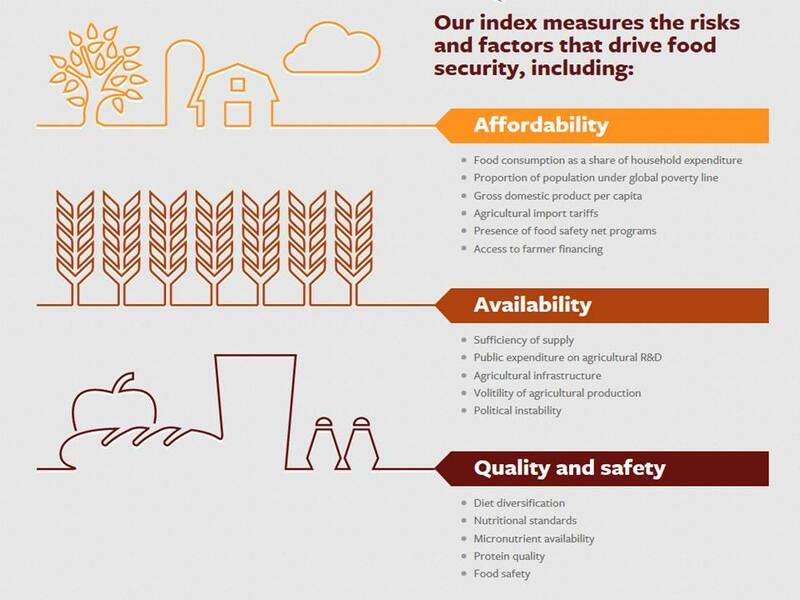 Because food security is a politically sensitive issue, the project tries to keep these indices are independent, credible and transparent that it is possible. What we find really important is the fact that this index uses a multidisciplinary approach and measures at different levels (micro to macro) affordability, availability as well as quality and safety (see above). Another aspect that we really like it is the big emphasis on the quality of the diet consumes by people in the different countries. Some aspects that resonate positively to us are diet diversification, micronutrient availability and not the last, protein quality (see below the result for Ghana). This panel of indexes will not only measure affordability and availability but it will position nutrition as a vibrant and essential component of the overall food security strategy. 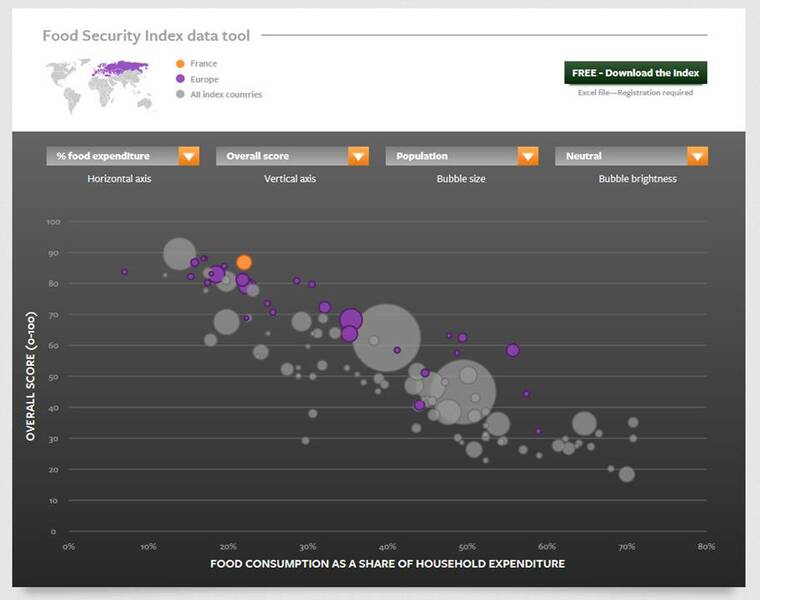 Go and explore the Global Food Security Index website at http://foodsecurityindex.eiu.com/, it is part of the public domain. You will be amazed by the large range of graphical representations that presents the data generated for the 105 countries. It is user friendly and you will be able to create your own representation using the Food Security Index data tool (see below). When you click on a circle that represents one country, you get of course the name of the country but also some key information on food security for this country. In the example above, the overall score for this new index is represented in function of the overall food consumption as a share of the household expenditure. France is in orange, the other European countries are in purple and the rest of the world in Grey. What we see? France has one of the higher overall score and food consumption represented more than 20% of the household expenditure (which is significantly superior to USA that got the highest overall score). We all know that food or “le bien manger” is really important in France. We also can see that there is a big difference among the European countries, that includes also East Europe and Central Asia countries. What are the first results? • The results show that the U.S., Denmark, Norway, France and the Netherlands are the most food-secure countries in the world. • The five most impoverished nations at the bottom of the Index, indicating they are have extensive food security problems, are Madagascar, Haiti, Burundi, Chad, and Congo. • The good news is that several of the countries at the very bottom of the index, notably Mozambique, Ethiopia, Rwanda and Nigeria, are also ones with strong economic growth, suggesting that their food situation may improve as living standards rise and as sound policies are hopefully put in place. • The index also indicated that China experienced the least volatility of agricultural production during the last 20 years (explained by generous subsidies that create a floor for food commodity prices), while the North African countries of Morocco, Tunisia and Algeria had some of the most variance. 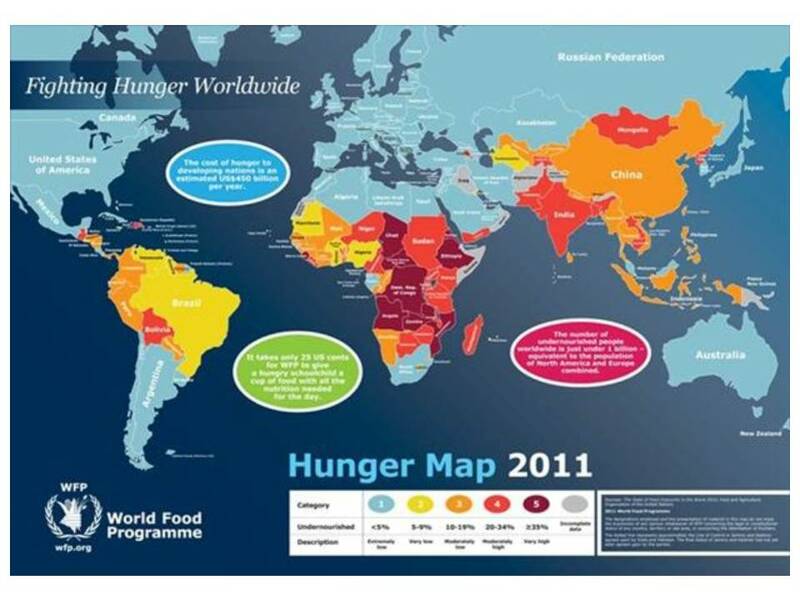 • The landlocked countries show only a modest increase in food insecurity, on average seven points lower on a scale to 100. • Residents of wealthy nations have 55% more food available than people in poorer countries: 3,400 calories a person per day compared with the daily intake of 2,300 calories recommended by the United Nations to live a healthy and active life. • People in the United States and other advanced nations consume an average of 1,200 calories per day more than those in low-income countries, but even in these wealthy nations food supplies lack enough micro-nutrients. In fact, an abundant food supply doesn’t guarantee that a nation will have the healthiest or safest diet. This is an interesting result – quantity doesn’t mean quality at all! • Interestingly, the correlation between food security and EIU’s Democracy Index was only 0.77, a much weaker link than with women’s labor equality. This result may suggest that what happens in the political sphere is a bit less important than what happens on the social sphere, in terms of food and nutrition security. Great job! They validate some important evidences. 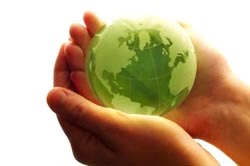 Stay in contact with us …..